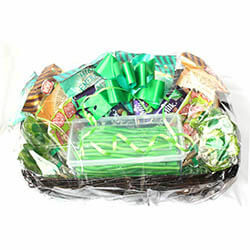 Irish Sweet Gift Hampers What could be sweeter but sending that special someone a real Irish Swe..
Cadbury Chocolate Gift Hampercontains:3 x. Dairy Milk Chocolate Bars3 x Golden Crisp Chocolate Bars3.. These Small Nerds Christmas Hamper will make a lovely gift idea or great stocking filler this Christ..
A great gift for any occasion or celebration.Contains 6 x 324g Boxes Includes Fizzers, Drumsticks, D..